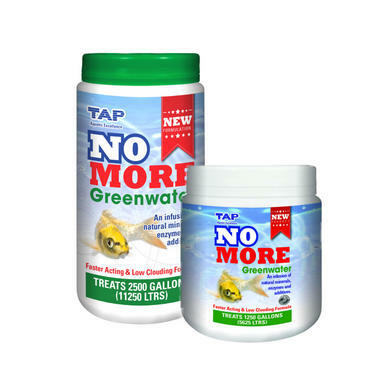 TAP No More Green Water Treatment is a fast acting treatment that has been developed with an infusion of all natural minerals, enzymes and additives. 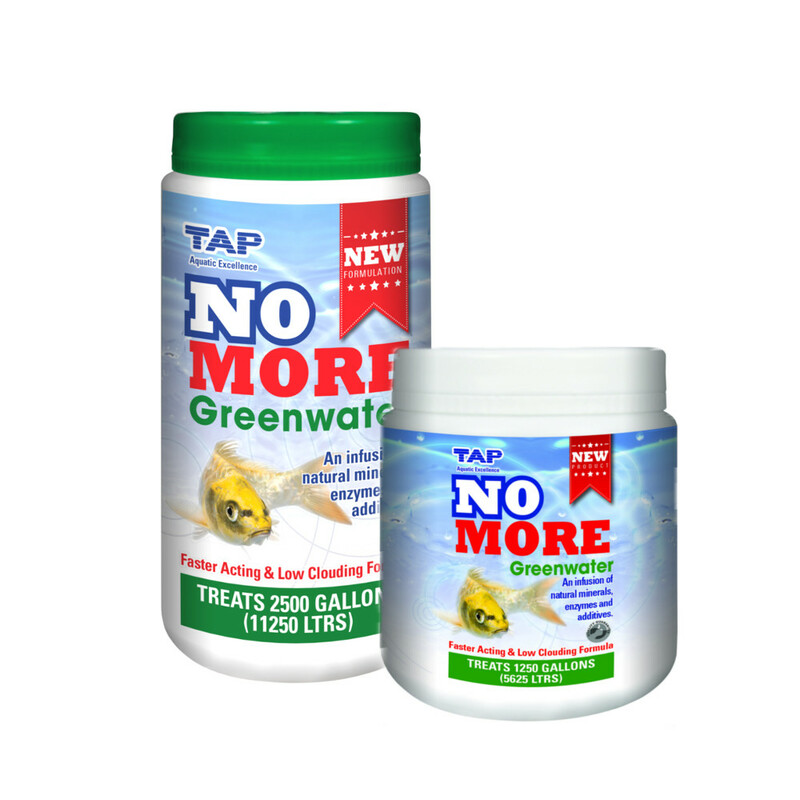 When this unique combination of chemicals is introduced into the pond, it will quickly and successfully work to combat the problem and slowly rid the pond of this algae. The formula build up of the Powder treatment has been designed to produce a low clouding effect which can sometimes be seen from other similar treatments. Any cloudiness in the pond will clear after a few days, resulting in clear water. 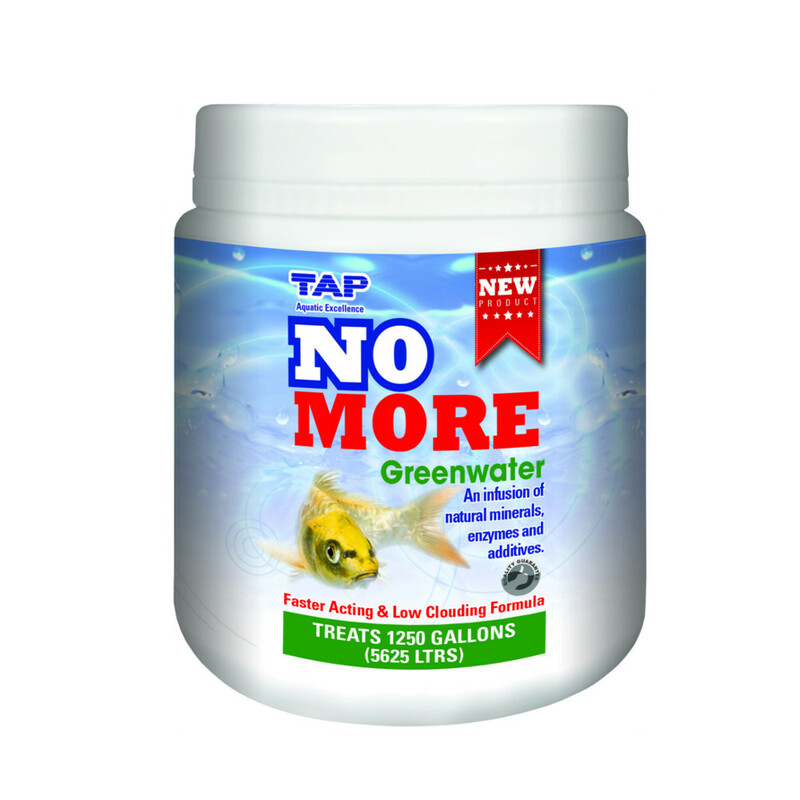 Simply mix the powder, using the dose rate of one spoonful per 300 Litres (65 Gal), with pond water in a bucket and empty into the pond. 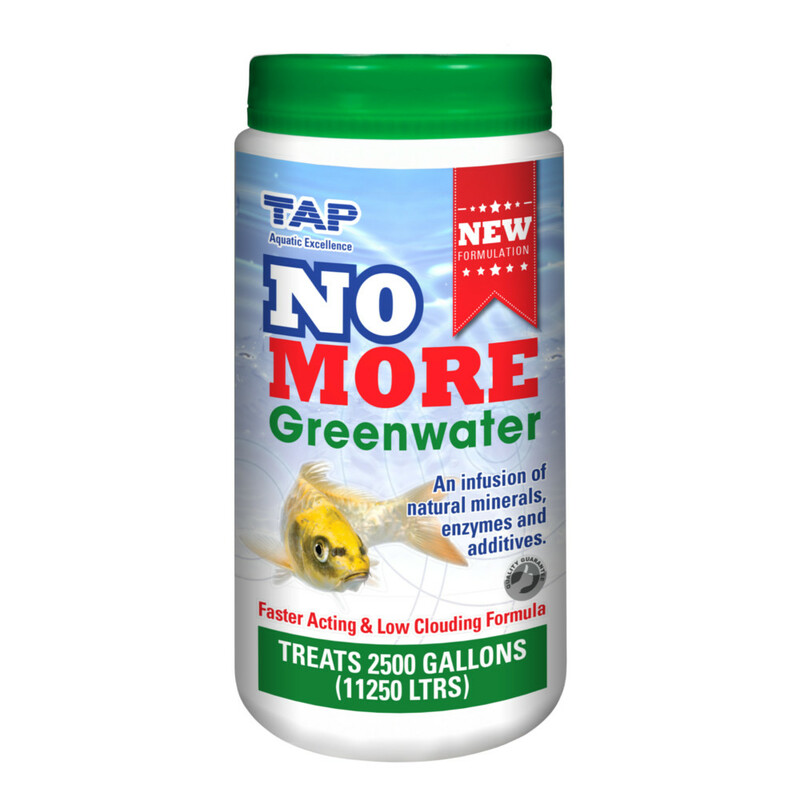 DO NOT use tap water.